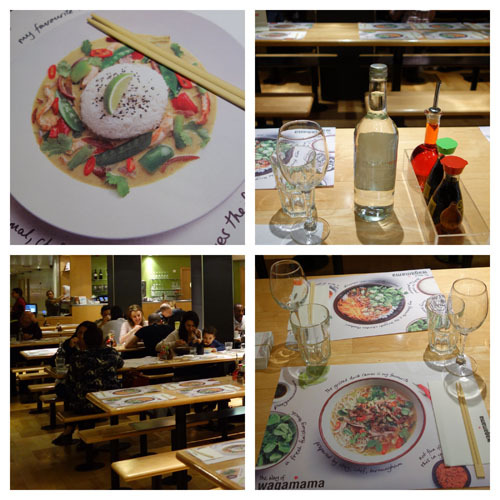 Recently I attended an event at Wagamama that will change my eating and dining out habits forever. 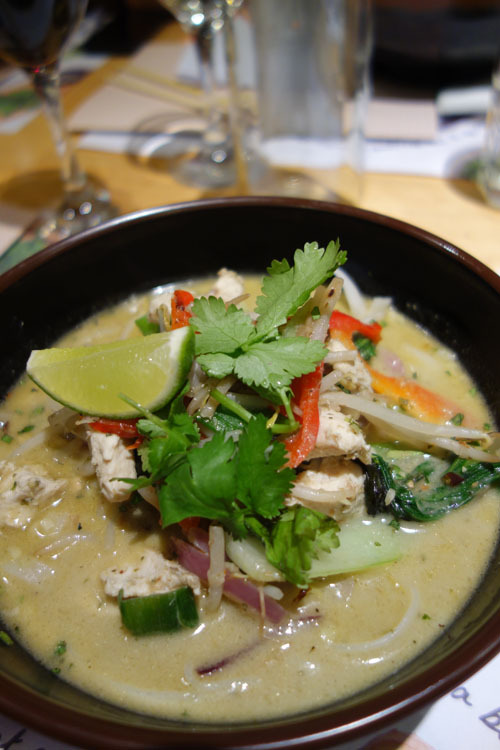 Prior to the event, I had to submit my favourite selections from the Wagamama menu so they could be analaysed by two fantastic foodies. I arrived with 9 other bloggers for a unique experience involving a collaborative effort between their Executive Chef Steve Mangleshot and Channel 4 Taste Expert, Dr. Christy Fergusson. After hearing a short introduction from each of them, we were each treated to an alternative dish from the Wagamama menu. The purpose was to learn about the science behind our favourite ingredients and to analyse our taste buds. I received #37 Chicken Itame. Chef Mangleshot & Dr. Fergusson picked up on my citrus preference from my original selection and picked this new dish to create a stronger sensory experience for me. It worked! Dr. Fergusson, who is a Doctor of Psychology, Chartered Psychologist AND Nutritional Therapist, explained to us that only 10% of taste is determined by taste buds, and the other 90% is by smell. She also said that those who prefer chilli tend to be thrill seekers because endorphin levels are raised when eating them. 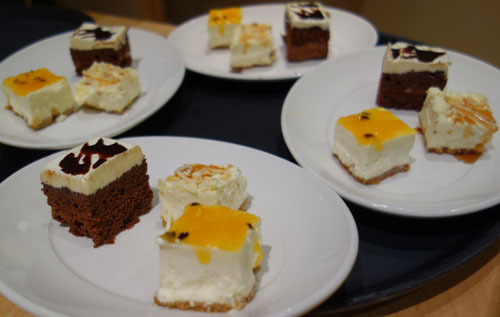 We also learned that certain ingredients can trigger special emotions, memories and moods. This means our food preferences convey insight to our personalities. Whoa!! Perhaps growing up in Florida triggers my citrusy selections on menus now? That’s my second entrée, #44 2nd entrée- Ginger Chicken Udon. It was delish! 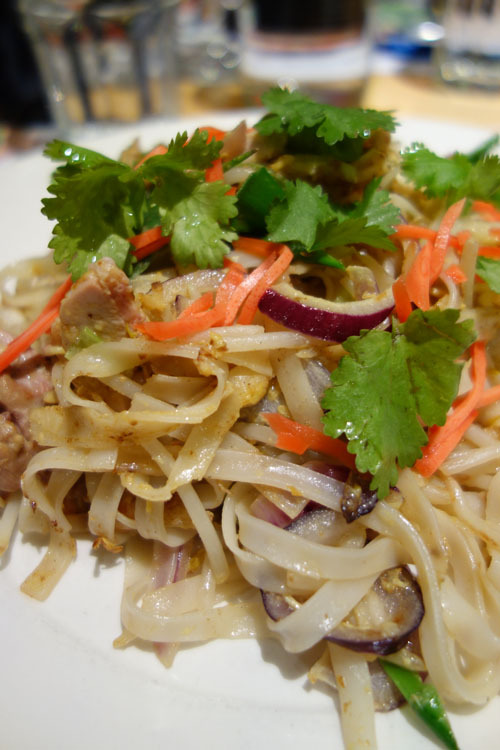 I always stick with Pad Thai because I not only love the flavours, but also I try to eat gluten free. Through talking with Chef Mangleshot, I learned that it’s easy to substitute rice and noodles on the Wagamama menu for gluten free meals. I always thought they didn’t have flexibility because everything is so keenly defined by numbers on their menu. 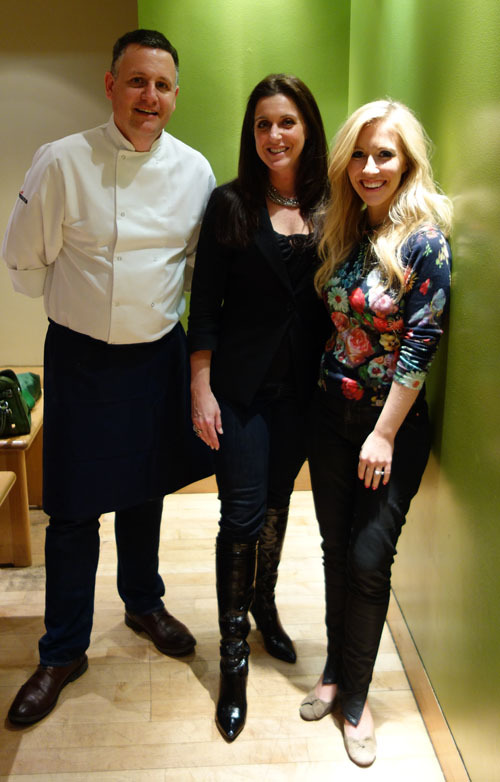 Aside from the amazing food, a highlight of my night was talking to these two food stars. It would be tough to find a chef who loves his profession more than Chef Mangleshot. In our conversation, he said, “For me, it’s about how well we do at Wagamama.” He truly wants people to converse with wait staff to learn alternatives to their favourite entrees, based on the key ingredients in them, and to explore the 60+ other Wagamama menu options. The bloggers who favoured soy sauce, which forms the basis of dishes such as Yaki Soba, tried dishes such as Cha Han. This is Yaki Soba, but with rice. Dr. Fergusson suggested Donburi, because she says people who like saltier soy sauce flavours don’t like bitter dishes. Dr. Fergusson also was a canon of information regarding the science of food. I highly suggest you explore her website to learn more. After my second course, I was really starting to feel like I was part of a Man vs. Food episode, but somehow I found room for the dessert tray! So, I have to ask, Sunny friends…. When you go to Wagamama, do you order their Chicken Katsu Curry? Chef Mangleshot says it’s their most popular selection. If so, maybe you’d consider conversing with them to discover an alternative that might become your new favourite? * My meal at Wagamama was complimentary. Opinions and pictures are entirely my own. I’m reading this post having literally just had dinner at Wagamama! I usually have the chilli chicken (as just now) or mushroom ramen. Funny how we always stick to what we know! The udon noodles look amazing though, I may try them next time! HAHA! I won’t be sky diving out of planes any time soon. However, mixing up my dishes a bit could be a likely future. What are your restaurant recommendations around London? I love trying new places. I’m a believer!!!! After reading this post I decided to take your advice….so instead of ordering my “go to” Chinese meal, I actually ordered something I have never had. Now, being that it was take-out, the presentation could not compare to Wagamama’s; however, the meal was quite tasty. Fabulous! I think we’re going to Wagamama for dinner tonight, so Mr. can try something new too. I’ll keep you posted. Looks yummy! I have yet to eat there. 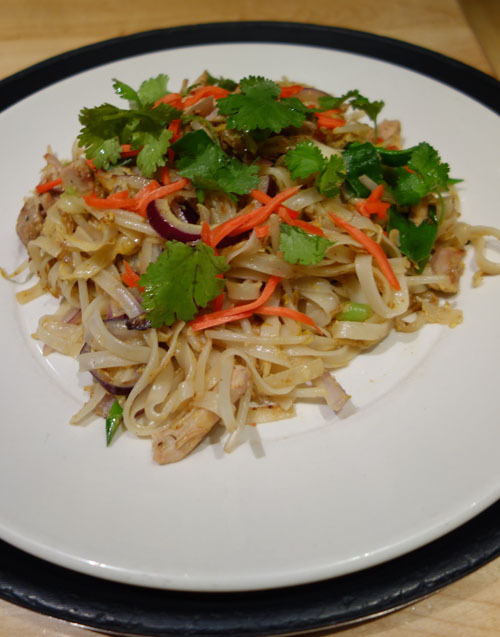 I’m not a curry fan so I’d definitely be reaching for something more similar to the Pad Thai! Yum! Tina, I don’t actually eat curry, so this was a first. It was pretty good though, and it’s not something I would’ve ever thought to order. Glad I ventured a bit out of my familiarity!